100% Cotton. 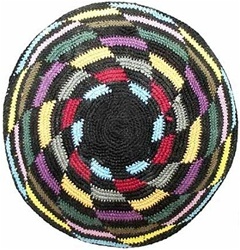 A colorful swirl pattern decorates this hand-crafted knit kippah. Color combinations may vary. Approximately 7" in diameter.